Built to retain the classic features that make this design unique, uPVC sash windows faithfully reproduce the styling and function of traditional timber sash windows. Not only do they look as good as traditional designs, they also have all the energy saving performance, long lifespan and security features needed to meet modern demands. 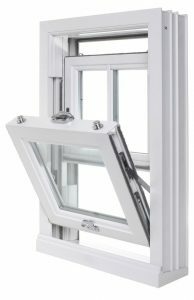 By incorporating spring balance tensioners and specialised hinges, contemporary uPVC sash window features now include options to tilt or slide the frames making it a simple matter to access the exterior of the window. The tilting feature also brings a new dimension into how you can ventilate your room. Matching the overall style of a property with a new uPVC sash window is no longer a big problem. With dozens of different colours and wood-grain finishes it’s much easier to find a window that works perfectly with your home. In its’ most basic description, a sash window is one where the opening sections slide vertically within the window frame. Sash windows are also sometimes called vertical sash windows or box sash windows. The term box sash window is more likely to be used when referring to a more “chunky” or classic timber framed sash design. However, use of the words “sash window” & “box sash window” are interchangeable and are usually taken to mean the same thing. The origins of the sash window style are said to be European, with some saying they came from France, some say they were a Dutch invention. Sash windows will very often be seen with glazing bars or Muntins which separate the smaller glass panels which make up the sash itself. Window horns, which were introduced originally as a strengthening measure, putty lines and moldings add some real character to the overall windows aesthetic. Seen all over the UK in Georgian, Edwardian or Victorian era properties, a popular configuration for an average sized example is “6 over 6” or “2 over 2”, with the 6 & 2 being the number of smaller panes within each moving section. Having said that, the number of smaller panes you use can just be a matter of personal preference and proportion. but you can find examples with a 1/3 – 2/3 split, the top section being the smaller. 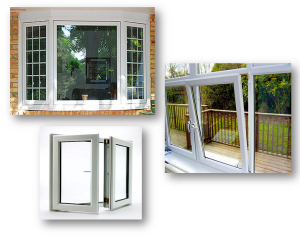 What are the features of uPVC Sash Windows? You can have sash windows built with more movable sections (Triple or Quadruple hung) but, as a bespoke product, they will need to be specially designed and built to order (and therefore costlier). To open them, the windows simply slide past each other on side tracks. Most often with the lower section on the inner track and the upper section on the outer track. In classic designs, the weight of the moving window has a counter-balance attached to the window via a “sash-cord”. That cord runs over a pulley and is connected to a weight, which was originally lead or cast iron. The counter balancing weights are built, hidden, into the sides of the frame (hence the “box”). Modern sash windows can substitute the rope & weight system with tension springs to support the window movement. The use of tension springs instead of rope & weights allows uPVC Sash windows to be modified to feature a tilt & turn option. New designs are fitted with movement restrictors, internal glazing beads and high quality center locks and “sash stops” to prevent unwanted entry. Not only that, but uPVC is not susceptible to the same expansion and contraction problems that plague wood. If water gets absorbed by wood, the wood swells up and the window will stick or jam. Conversely, if wood dries out too much, the frames don’t fit tightly and this can allow draughts – this does not happen with uPVC. Fitting double glazed uPVC Sash windows is a sure way to reduce noise pollution from the outside, making your home much quieter. This is a a result of the double glazing, but also because the frame profiles are chambered and help to deaden sound transfer. Modern sashes are really snugly fitted into their tracks, have weather proof draught exclusion strips built into the unit and therefore keep out bad weather. Because expansion or contraction is minimal with uPVC Sash windows, the sashes remain fitted tightly within the tracks and frames eliminating water ingress or unwanted draughts. Steel reinforced slimline frames give uPVC Sash windows a pleasing appearance, maximising the amount of natural light coming into your home. The horn is fixed to the bottom edge of the window frame. The horn is a “through horn”, part of the frame itself. White windows are popular but not the only option. For those who want to have a different look, there are around 20 colours in the full uPVC range from which to choose. Wood-grain surfaces add a final touch of authenticity. You can choose various configurations of window dividers, window bars or Muntins. Dividers can be part of the frame (structural) or decorative. Decorative dividers come in 2 types, either as 1) inserts within the double glazed unit, or 2) overlays which are fixed to the surface of the glass panes. Clear glass fitted to double glazing (or triple) can be used or, alternatively, there are multiple patterned, frosted, leaded or coloured glass options available where a degree of privacy is required. All glazing is fitted with internal window beads to prevent removal of the glass from outside. UPVC is a good insulator. Window frames made from this material don’t conduct heat very well, which aids the overall energy efficiency of the installation. 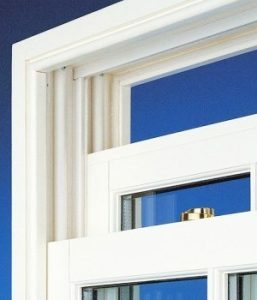 Added to the naturally poor conductivity of uPVC, is the use of multi-chambered frame profiles. The chambers themselves further help to block heat & cold transfer. Double glazed sealed units are practically “standard issue” for modern uPVC sash windows. A standard sealed unit will consist of 2 x 4 mm panes of float glass with a gap of up to 20 millimetres giving a total thickness of 28 mm. Using low emissivity coated glass, filled with inert gasses such as Argon, can further enhance energy efficiency. UPVC Sash windows also feature trickle vents designed to allow controlled ventilation, which is very important in the avoidance of condensation build-up for well insulated homes. If moist air has no way to exit, it will condense within the room and eventually cause damp patches, fungus or mold. Looking after a uPVC Sash window is easy, all you have to remember is to keep it clean (as necessary) and lubricate the moving parts once or twice a year – no painting ever! Vinyl, which is the primary component of uPVC, is hard wearing with an exceptionally long lifespan. Therefore, by default modern Sash windows made from uPVC are also going to be durable enough to last for decades. What design options are avaialble? An individual uPVC Sash window will have a practical design limit in terms of height & width, simply because it may become to difficult to operate manually. In an average UK house, when used in a wide opening, you will find 2 or more units fitted side by side, often seen in a Bay or bow window. Glazing bars are very often seen in this type of window, and are very much part of the character. Placing the bars in different locations within the frame will make a big difference in the visual appeal. Georgian: 6 top panes over 6 lower panes. Victorian: 2 top panes over 2 lower panes. Offset: 3 top over 3 lower, with 1 large centre & 2 smaller side panes. Borders: Similar to the offset but with extra sections. We recommend that you get your existing windows measured by a professional if you are going to replace them. 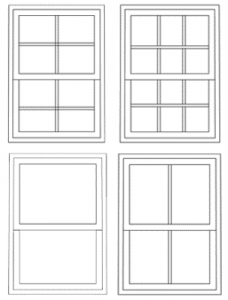 But here is a selection of freely available basic sash window sizes (in millimetres). 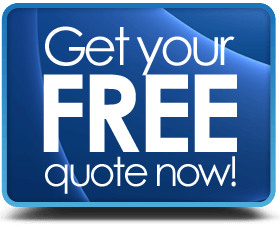 You are definitely going to find that sash windows are not the cheapest in the market. Having said that uPVC sash windows are priced quite competitively. There is a guide to uPVC Sash windows prices below, but please bear in mind that it’s just a rough guide and that there are a lot of things that can affect how much it will actually cost to fit them to your property. Prices are so variable that you can find a 3 bed Semi costing between £5,000 – £7,000 and a 4 bed detached around £7,000- £10,500. How much supply only upvc sash windows cost? How much fully fitted upvc sash windows cost? The only sure way to know how much sash windows cost for your home is to get a proper written quote, but make sure you use an installer with a good track record of fitting this type of window. For a more detailed breakdown of many types of double glazed windows, visit our price guide page here. Should I replace my old wooden sash windows or repair them? If you are looking at a uPVC sash window that is damaged beyond economical repair, then yes you should go ahead and replace it with a new one, as you should not have too much trouble finding an identical replacement. The situation with wooden sash windows can be more complex. In cases where the windows have been there for decades, it may just not be possible to replace it with a “like for like” – for example some glass used in very old sash windows is just not made anymore, so you have to save it. Being “beyond economical repair”, may also not be enough to justify replacing your sashes. Local planning constraints (listed buildings for one example) may restrict, restrain or confine you to a certain course of action, where repairing your window (even if it is way more expensive than replacing it) is the only course of action you can follow. A basic “MOT” for a timber sash window can be done for something like £150 to £250. How long does it take to fit a house with sash windows? The amount of work needed (number of windows etc) will dictate the time-frame, but a professional team can take 3 t0 5 days to install sash windows to the average sized home.. This, again, will depend upon the type of windows ordered and the amount of windows you want to buy. Traditional timber box sash windows will take longer to fabricate than uPVC versions, and may take up to 8 weeks to turn up. 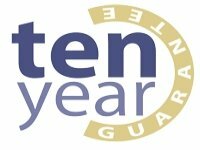 Do all sash windows have guarantees? Yes. The company that installs the windows will offer guarantees on installation work and the product will have a manufacture warranty of around 10 years. It is important to confirm this with your chosen installer before you hand over any money. The minimum standard would be to have an insurance backed deposit guarantee – accredited installers from GGF / FENSA / CERTASS or DGCOS will have this facility.